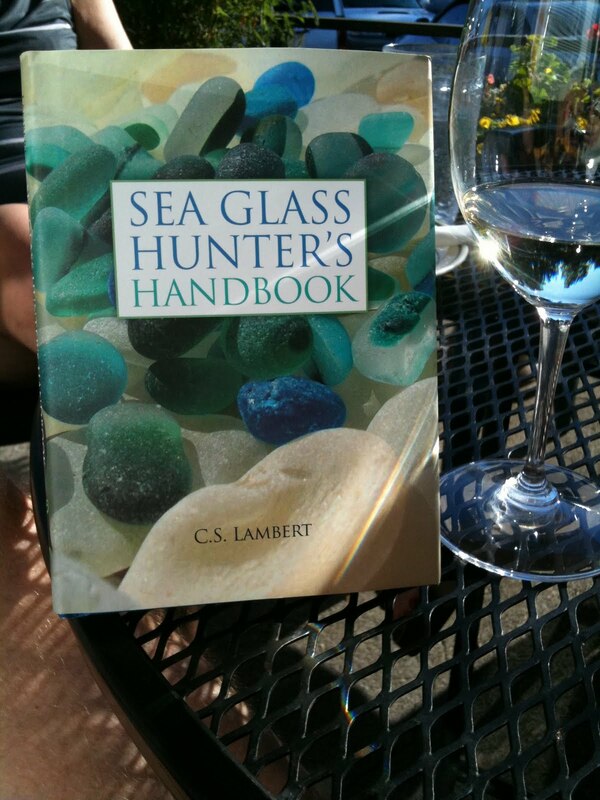 Everything Coastal....: Sea Glass Hunter's Handbook - A Giveaway! Carol - it is orange! Rounded, smooth and perfectly frosted! My favorite piece! My favorite sea glass is one that almost looks like a rock, it is so dark until you hold it to the light, you can see through the edges. I was told it is from old rum bottles dating back to the 17-1800's. 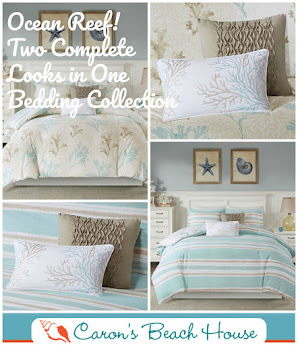 I love the pale green pieces that are almost white, with just a hint of color! What a great giveaway. Thanks Lola, Beth and Marilyn! I have never found a piece of sea glass. I guess I have not been on the right beach. Maybe this book would help me! Wow! What a wonderful contest! Thanks for the opportunity for this book! My favorite seaglass find is my very first piece! It was at marker "27" on the Cape Hatteras National Seashore in the Outer Banks. 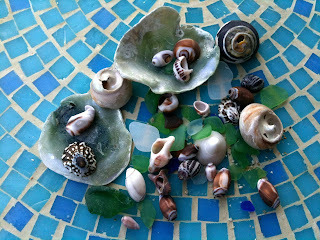 Last October was my first trip there and I knew I wanted to explore the shore and hoped to find some sea treasures. As I walked down to the beach from the parking lot, I saw two ladies sea-shelling and stopped to ask if they'd found any sea glass. I hadn't seen it in its natural state and had hoped for some hunting tips. However, they didn't seem to understand what I was talking about. 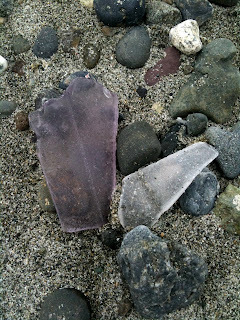 I tried to explain that it was old glass items that had been tumbled by the ocean and washed up onto the shoreline. They still weren't understanding and I was fumbling, trying to think of another way to describe sea glass, when I happened to glance down to my right...and there I saw the sun glinting off a small piece of green glass! I swooped down to pick it up and laughingly explained to the ladies that this tiny green piece was what I'd been looking for! 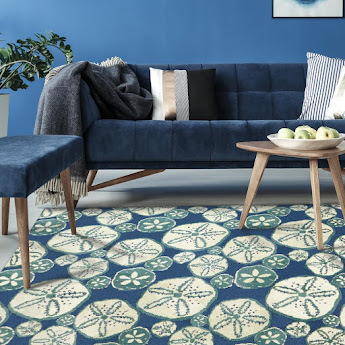 I went on to find a few other pieces (including blue!) that day. That is the photo posted on the Facebook page. I have never found a piece and I have lived in Florida my entire life!!! Maybe I am not looking in the right places! I would love for you to stop by and enter to win my custom sticker giveaway from uprint.com! It's so easy to enter! Beach glass always makes me wonder what it started out as. I use my imagination to picture a bottle of expensive perfume a sailor had purchased for a special gal. 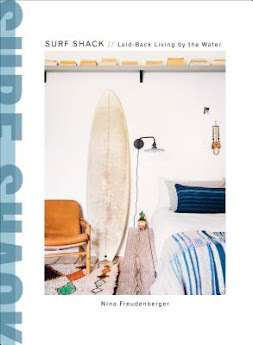 Or maybe it was a bottle of wine discarded after being shared between lovers or just a beach bum who tossed it carelessly into the surf. However it started out, it ends up loved by us with a romantic imagination. My favorite find was not a bit of glass. I found a small, aqua medicine bottle at low tide buried in the mud and rocks. Only the top showed - so thought it was going to be just the top ring of glass. I was amazed at its condition - almost perfectly preserved! I follow via FB and T! My favorite sea glass find was the first time I went to the Boston Harbor Island, Spectacle Island. Although you are not really supposed to take it from the island, theres just SO MUCH that its hard not to take a piece here...there... everywhere! My favorite find is a teal colored piece that I made into a necklace. I found it in FL. I'm so exited about this book-thanks for the chance. Happy Friday. I'm new to this..my favorite so far was a pretty cobalt blue piece, not very polished; but pretty nonetheless. My favorite pieces of seaglass are turquoise from old sake bottles or my absolute treasured pieces are the seals from broken Japanese glass fishing floats that I collected while living on Kwajalein, RMI. Ooooh!! 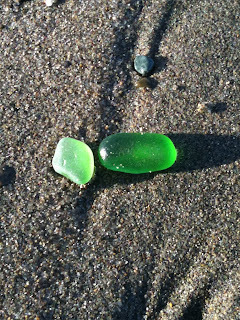 I have always had a facination and love of sea glass, but don't seem to find much myself on my SoCal beaches. I cannot deny that I love the blues the most. I pretty much love anything blue the most. Hello Caron, I guess I'm a new, but old follower because I signed up for email subscriptions instead of my reader page. 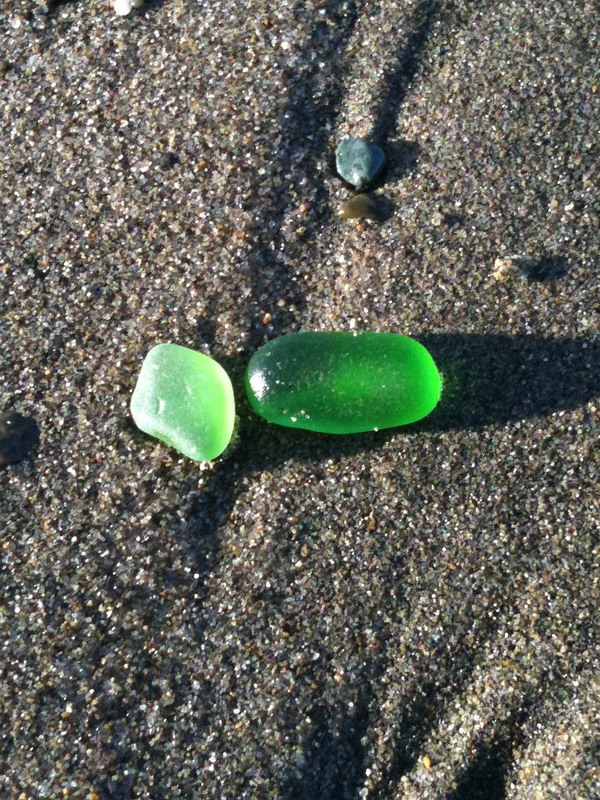 Anyway, my best sea glass find was actually some I didn't find on the beach myself. I have found lots of cool pieces, but my most treasured was actually found at a really junky junk store here locally. They had two of the largest canning jars filled with the most fascinating colors and shapes. The best thing is my 'connection' there now saves me the jars he gets when he goes to Mexico. 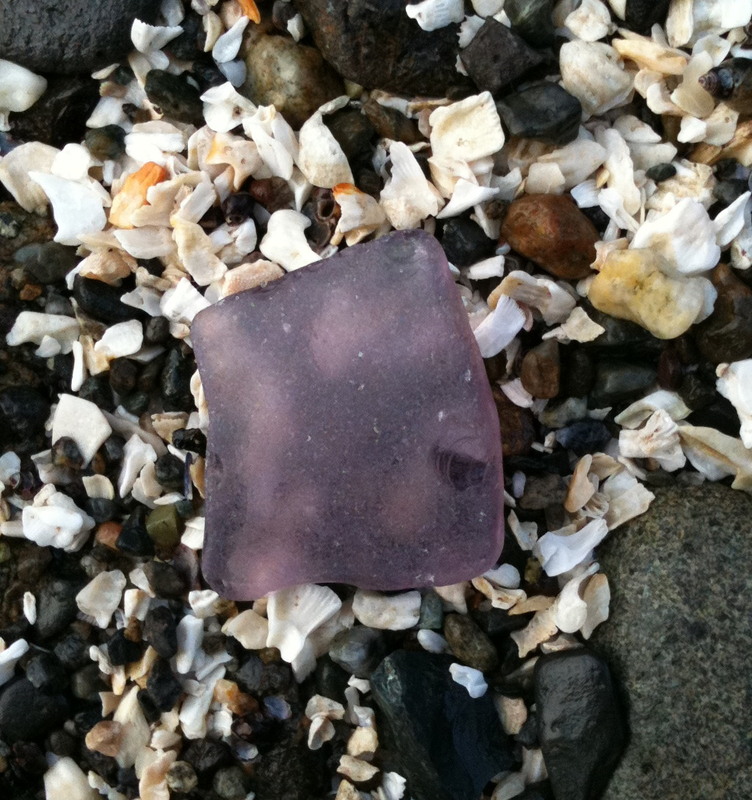 Once, in my jars, I found an amazing RED Seaglass Marble- in perfectly frosted and gorgeous condition. What was even better was the price- I paid $10 for both jars! 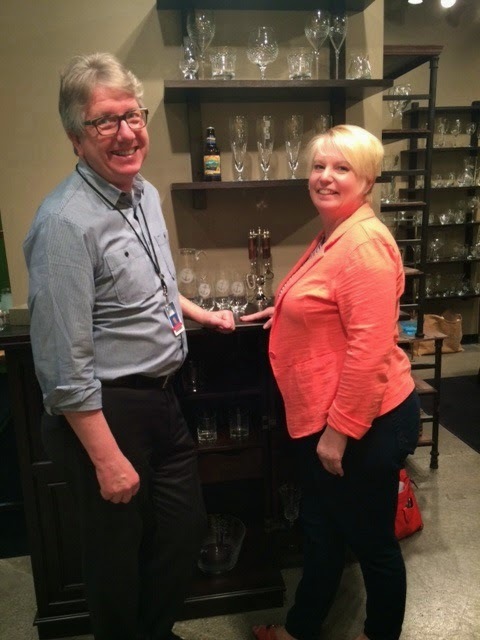 Now, he thinks I'm crazy of course, buying old broken glass, as he calls it. But he saves it for me- and that keeps me coming back! What a lovely giveaway, good luck to all those that entered. 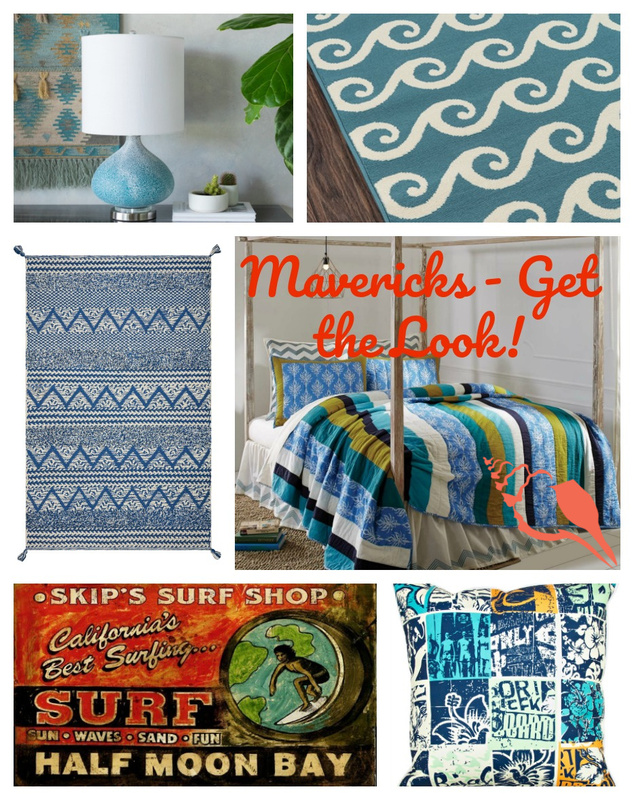 Thanks for dropping by and linking up at Beach Cottage Good Life Wednesdays. 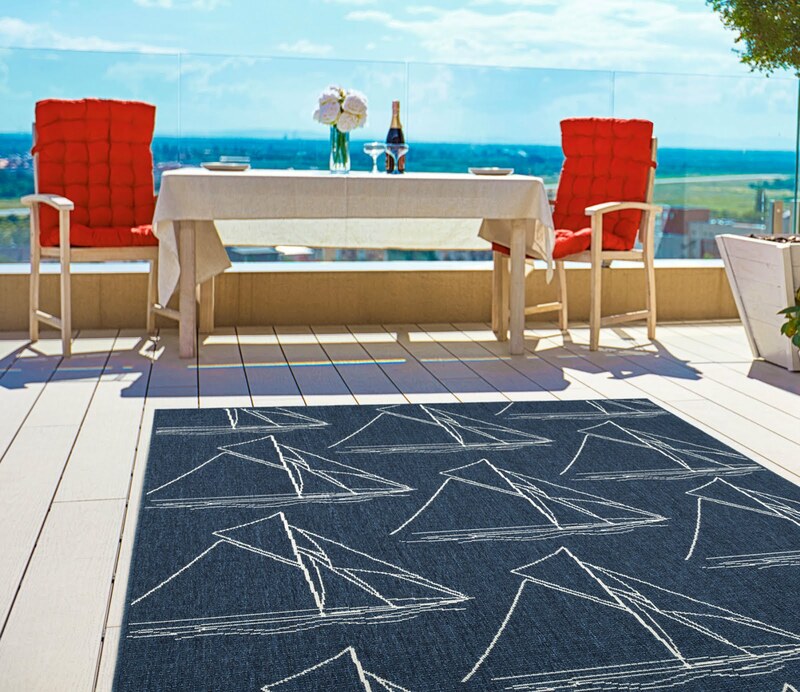 Caron, My favorite piece is a sea tumbled piece of an antique plate with and aqua pattern on it. There's one place to find sea glass here - we call it Glass Beach, but others call it Rubbish Beach because it's right by the garbage dump. Not the most romantic of names, but still the beach is covered in little bits of sea jewels. I love finding the tiny sapphire ones, which are hard to spot among all the browns and whites. My favorite 'find' is not a specific piece, but a feeling. The one you know you've earned. You look and look and pick up all the itsy bitsy pieces because you don't want to wreck the karma. Then, with a little angel music from above, you see it, or just a corner, sticking out from a rock or the sand. This is the 'find'. The "yes!". The feeling of why we love to collect sea glass. 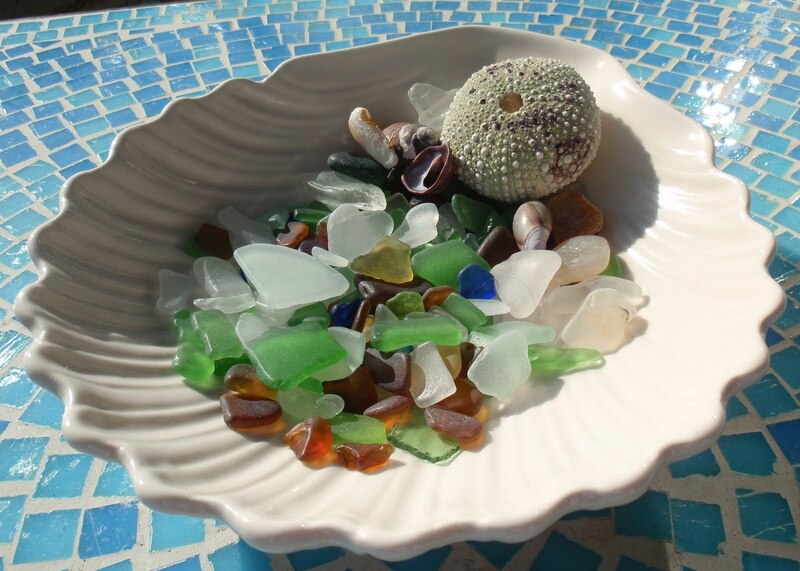 My favorite sea glass find is a giant round piece. I can't even describe the color. Its like a really dark aqua. I call it my sea glass donut because it really does look like a donut with the center hole barely still there. I think it may have been the bottom of a vase or something. I found it this spring, just days after the huge tsunami in Japan. I'm a new follower =)Good luck to everyone! I love sea glass- am totally obsessed with finding sea glass treasures. My favorite find- a secluded little beach in Bermuda- totally covered with sea glass! 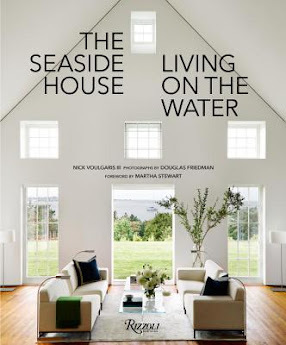 I'd love to win this book! Hi Caron- count me in again for being one of your followers- you know I love you! And 1 more time for loving your Facebook page! Caron!!! I love it!! But I could never ever pick a truly ONE favorite find... each one holds something different... especially the rare ones.. I can recall my mood...where I was...what I was thinking or wishing... too hard of a question for me to answer!!! You know I follow you..(and take your wise advice...) And I will blast away this ROCKIN giveaway on FB, Twiiter.. you name it! 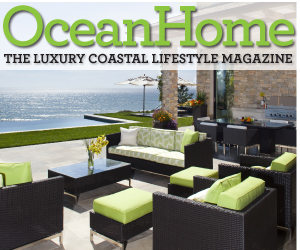 I grew up in massachusettes I have loved sea glass since i was a child . My dad bought me a pair of earring when I was younger and I still have them .. I love seaglass there is nothing prettier than what an old bottle becomes after being in the ocean ..
My favorite piece of all time is a gorgeous piece of blue glass that I keep nearby my workspace for inspiration. I found it on a beach in Southern Maine and have never seen another piece the same color. And I am always looking! 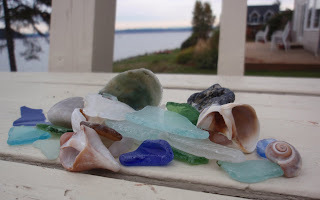 I love sea glass! My family goes to the Texas coast every Thanksgiving for the entire week. It is a beloved tradition of ours. We spend every day walking the beach, no matter what the weather, looking for the elusive piece of sea glass. There usually aren't too many to be found, so any little piece is a treasure and we all celebrate! 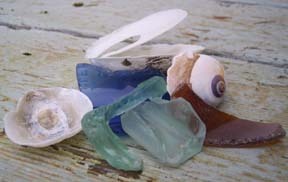 I love blue sea glass, but since we never find any that color, my son made me some with his rock tumbler! 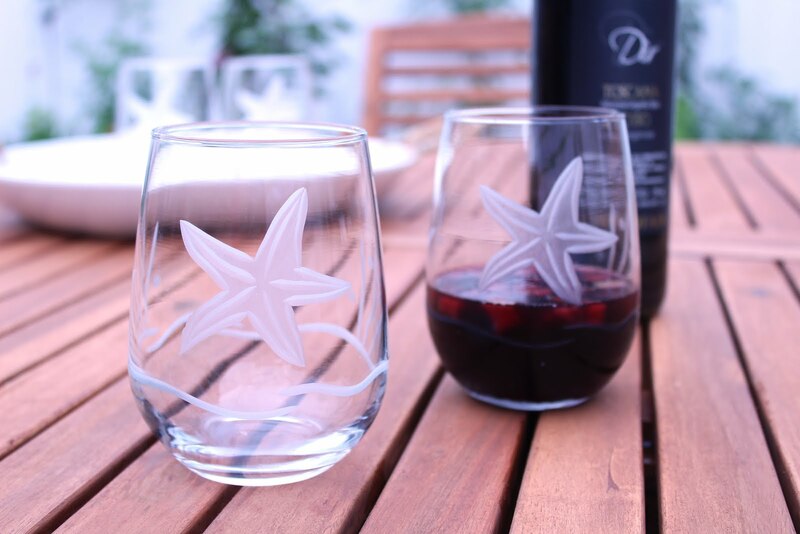 I have to say, that is my favorite "sea glass"! I love it all making it hard to pick a favorite. I am a new follower via Google friend connect!